Decorating Diva Tips: How to Decide Whether to Make, Mend or Replace the Cushions on Outdoor Furniture? 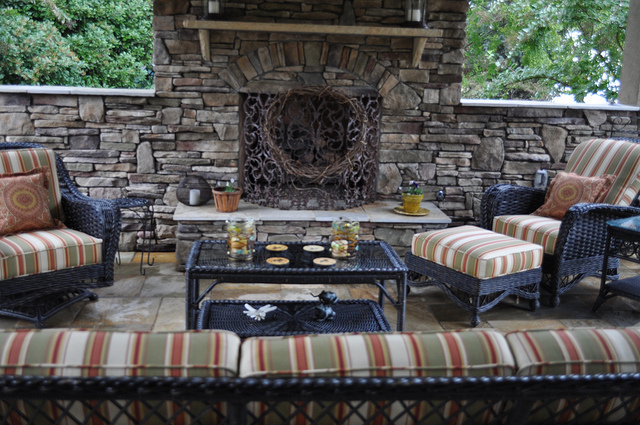 How to Decide Whether to Make, Mend or Replace the Cushions on Outdoor Furniture? So spring is here Divas, and our minds turn to the outdoors. Here at Diva towers the whole family have been fighting off flu/infections/viruses and so now getting some wonderful spring air seems even more rewarding. Of course now we notice just what tasks need to be completed in the garden, and apart from the odd tidy up and planting, you've no doubt noticed your outdoor bench cushions are looking past their best. Even if you've stored them properly through the winter, it could be time for a change. 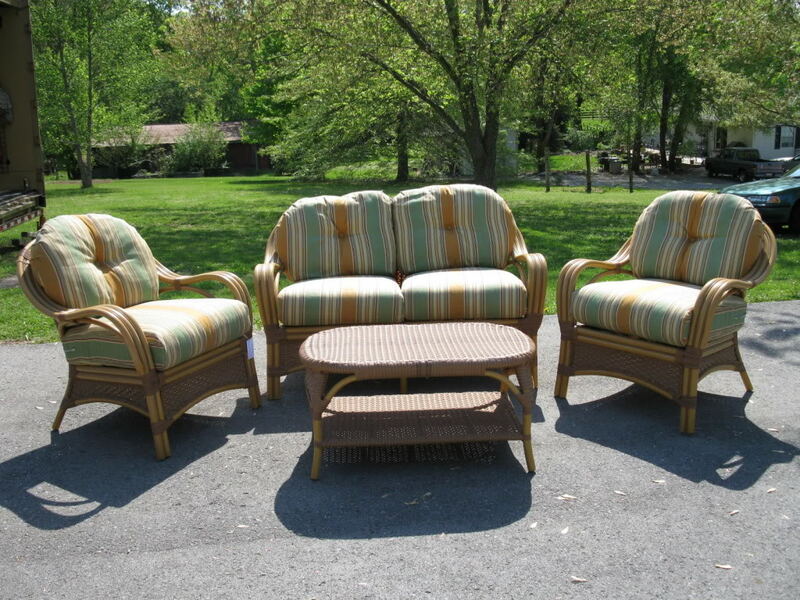 All cushions get a bit worn and saggy over time, especially those that are exposed to the outdoor elements. So what should you do when your outside cushions need replacing? There are more options than you realize, although of course a straightforward replacement from the place you bought the furniture may be just the answer for you. Things aren't always that easy though, as even in the world of patio and garden furniture, trends move on, and so do styles and fabrics of outdoor cushions. Let's take a look at your options. Can you rescue your cushions? Do the Cushions Really Need Replacing? Bring your cushions inside and take a proper look at them. Do they need to be completely replaced? If they are worn then you could always buy replacement covers, or make some yourself, using the existing foam as a guide from which to make your pattern. If the foam is flat and offers very little cushioning, but the fabric is still OK, then maybe all you need is to add some new foam to plump them up again. If your cushions are just worn or faded on the edges then you could always customize them with tassels, piping or appliqué shapes, to cover over these small imperfections as well as adding your own style. If your cushions are just a bit grubby or have had the odd drink spilled on them, you might be able to bring them back up to standard with some professional or DIY upholstery cleaning. 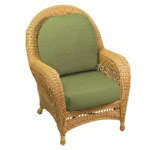 If the fabric is worn or faded by the sun, and the foam is flat too, then it may be time to consider replacements. If the foam appears fine but the fabric is mildewed then again it's probably time for a straight replacement; mildew is a sign of damp which may have caused more damage to the foam than you realize, and certainly won't make for a nice odor. If your situation dictates that you definitely need replacement cushions, what's your next step? Any Cushion Will Do, Right? Despite appearances, there is actually quite a bit of difference between the cushions you have on your indoor furniture and those that you have on your outdoor furniture. The fabric has been treated (probably in many different ways), and is likely to be more robust and thick too -- the wear it gets from the friction against metal or rattan furniture has to be taken into account. Modern outdoor fabrics look just like indoor ones, so you can be forgiven for thinking that it's OK to use indoor cushions for your garden furniture. Actually they are now made in much the same way, and outdoor fabrics aren't as stiff and boardy as they used to be. They are likely to be stain, moisture and fade resistant, and this is the really big difference between the two. So if you can't utilize just any nice cushion set that you find, what's your best bet in buying replacement outdoor cushions? Although it's unlikely, go back to the store where you bought the originals and see if they still stock your cushions. Even if they don't they are likely to stick to the same make, so they may have some useful contact details for you. They may even have an ordering service. Take a look around while you are in the store, and see what else they have. Stores tend to stick with the same manufacturers so even if they don't have an exact fabric match, maybe they do offer a cushion set that fits the same dimensions as your furniture. Take a look for a tag or label -- it maybe inside if your cushions use zippers. Manufacturer details might give you an address or website that could be worth a look. service. If your cushions are an odd shape, or you aren't that handy with a sewing machine, these services are tremendous value for the skill you are getting. Hitting a brick wall and still not getting what you're after? If you just need replacement covers you can easily make your own outdoor cushions using your existing covers as patterns. Even corner unit cushions aren't difficult to make if you have a pattern to go by -- there aren't any complicated methods you need to learn. Just a straight running stitch with a 1/2 inch seam all around is all you need. Remember to leave one side open to put the foam in through, and then stitch up that edge - which will be visible. Why not alter some commercially available outdoor cushions to fit the shape of your furniture, using the same approach as above. You don't even need to sew ; try some iron on-adhesive or even some stick on Velcro with a few nips and tucks to get the perfect shape. Even though outdoor furniture fabric is different than indoor fabric, this doesn't mean that you can't weatherproof cushions yourself. If you find some perfect cushions at a garage sale, or outlet store, but they are definitely indoor cushions, do not fret. As long as the fabric is an upholstery-style that looks like it will stand up to wear, you can use waterproof silicon spray to protect them from the elements. 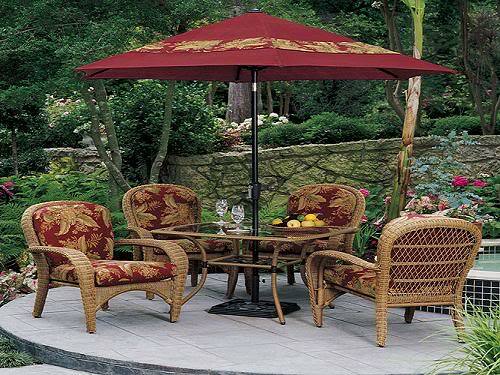 This approach works best with a light colored fabric as the spray won't offer protection from fading by the sun. While finding replacement cushions for outdoor furniture may not be as easy as popping into the store, I hope I've shown you many ways around the problem so you can find the one that suits you best.